Morocco has festivals all year round which showcase the best of local culture, traditions and landscape. In addition, its world famous music festivals attract international artists of every genre. Planning your trip to Morocco around a festival is a great way to see the country and indulge in some culture at the same time. Here are some festival highlights for 2015 that serve as a wonderful guide for Morocco Travelers. If you travel to Morocco in May, we recommend you take in the Rose Festival in Kelaa M’Gouna. Hidden in the spectacular Dades Valley, the so-called Valley of Roses is world famous for the Damask Rose first brought here in the 1930s by the French. Today, every rose derivative imaginable for cosmetic, decorative or culinary use is produced in the valley. The festival celebrates the sweetly perfumed harvest as well as local rural life and Berber traditions. During the 3-day festival, a Rose Queen is elected and features in a cavalcade of floats through the valley. Your trip in this region could also take in kayaking on the rivers full of snowmelt, a night in an ancient fort along the ‘Route of 1000 Kasbahs’ or a trip into the Sahara Desert. 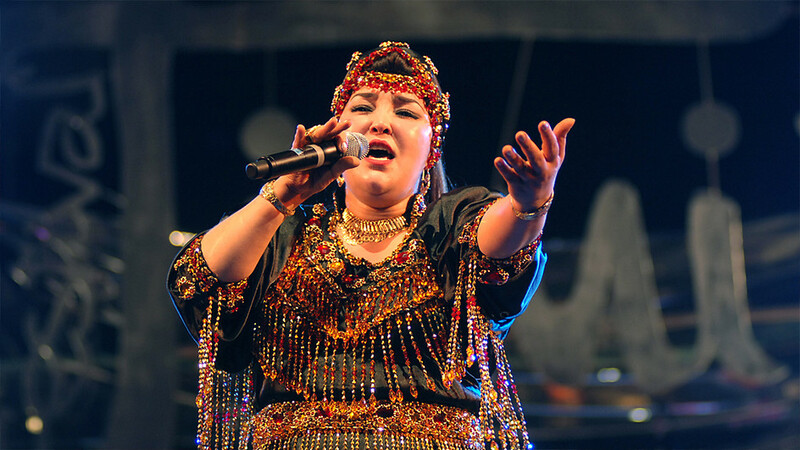 The 18th edition of the Essaouira Gnaoua World Music Festival takes place earlier than usual to avoid a clash with the Muslim holy month of Ramadan and other summer festivals. One of Morocco’s most popular festivals, it showcases gnaoua music, which came to Morocco with sub-Saharan African slaves to the Sultans. It is characterised by the deep bass twang of the gimbri (a three-stringed lute stretched with animal skin to provide a resonating sound), the rhythmic clatter of krakeb castanets and the call and response of the maalem (master) and his troupe of brightly costumed adherents. 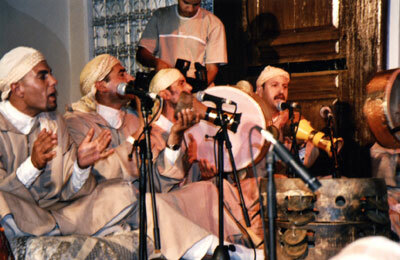 Gnaoua music typifies Moroccan sufism; the worship of Allah through music, dance and trance. 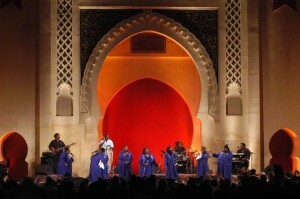 As well as offering the audience a rare opportunity to see gnaoua groups outside their zawiyas (mosque-like buildings where they practice) on the big stage, the festival also features unique fusion concerts between the gnaoua groups and the international artists invited to participate. World music stars who have played in Essaouira include Cheb Khaled, Salif Keita, Toumani Diabate and Orchestre National de Barbés. Main stage concerts are free; more intimate gigs in historical buildings of the UNESCO World Heritage listed medina cost around US$10. Essaouira is just 2.5 hours from Marrakech and a visit to the festival is easily combined with a longer stay or tour of South Morocco. 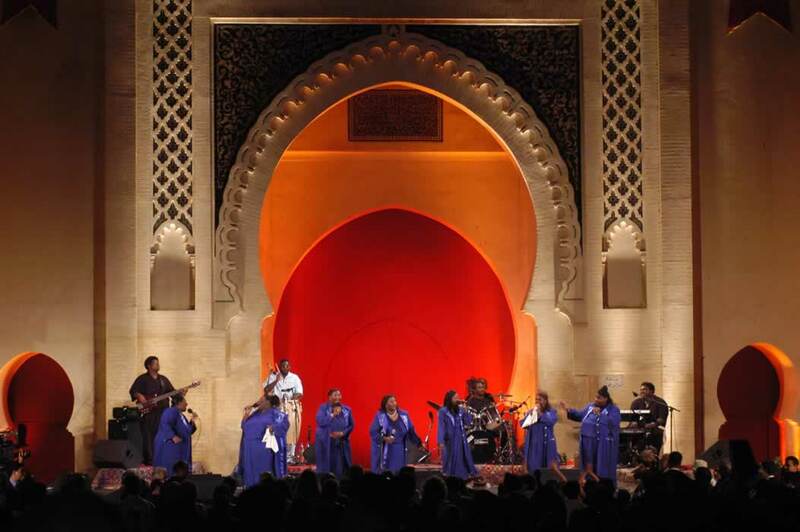 Fes is Morocco’s spiritual heart and this year will mark the 21st edition of the Sacred Music Festival. The 2015 theme is ‘Fes in the mirror of Africa.’ As well as being an opportunity to experience sufi music from around the Islamic world in a range of stunning venues, the festival audience also has a chance to see musicians and artists of other spiritual traditions. Performances have included Turkish Whirling Dervishes, Celtic sacred music, Christian Gospel and flamenco. Previous international guests in Fes have included Patti Smith, Youssou N’Dour, Johnny Clegg and Altan. Tickets can be purchased for the larger concerts, but many events are free. Every evening, Sufi Nights concerts are held the gardens of Dar Tazi, and Bab Boujloud, one of the city’s main gates, is a venue for free evening performances. The gardens of the Musée Batha host concerts and art exhibitions reflecting the festival theme, which changes each year. Fes is an inspirational city, particularly for musicians and other creatives and a trip timed with the Sacred Music Festival is a once in a lifetime opportunity! Without a doubt Morocco’s biggest music festival, Mawazine is held under the strapline ‘Rhythms of the World’ every year in the capital, Rabat. It offers perhaps the widest line-up of all the Moroccan music festivals, featuring local favorites, big names from the rock, RnB and pop genres and also showcasing young Moroccan talent through the ‘Generation Mawazine’ competition. Typically, over nine days, the festival hosts over 1500 artists from around the world in more than 125 shows spread over seven sites. Attendance is usually in excess of 2 million with a TV audience of around 30 million viewers in 2013. International stars who have graced Rabat’s stages include Justin Timberlake, Kool & the Gang, Rihanna, Shakira, Ricky Martin and Jason Derulo. Maroon 5 have already been confirmed as part of the 2015 line-up. Rabat is easily reached from Casablanca with its international airport and either city is the perfect starting or end point for a tour of Morocco’s imperial cities. Marrakech’s main square, Place Jmaa el Fna, may seem like a street art festival year round. However, this ever-vibrant city holds a festival dedicated to popular arts every summer and this year it is likely to attract large audiences as it coincides with Ramadan – a time when life is lived through the night and families take to the streets in the evening. 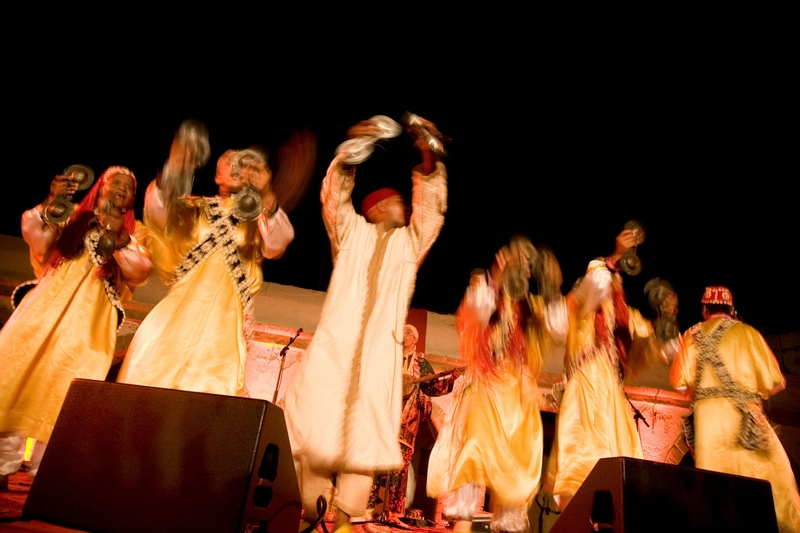 Centered around the el-Badi Palace in the south of the medina, the festival features outdoor performers from storytellers to actors to acrobats. A fantasia (an impressive display of Arabian horsemanship) takes place in a field near the palace every night. A relative newcomer to Morocco’s music festival calendar, Timitar – held over a weekend in Agadir every summer – was originally conceived as a showcase for local Berber musical talent. It is still the best opportunity to see the full breadth of Moroccan Berber traditional music – from the Souss Plains to the High Atlas Mountains; from the northern Rif to the Sahara desert. However, it is also a chance to see world music stars, particularly from the francophone regions of Europe and Africa. Previous international artists at Timitar include Alpha Blondy and US gospel rock stars, the Campbell Brothers. Agadir enjoys some of the best sunshine and sandy beaches Morocco has to offer and is a great base for a family summer holiday, a watersports adventure or for exploring the rugged Atlantic Coast. The Tangiers International Jazz Festival will celebrate its 16th run this year. The programme generally features a broad line-up of jazz genres, but given the 2015 theme of ‘Jazz of the five continents,’ we can perhaps expect even greater emphasis on the African roots of jazz and modern African interpretations of the jazz style. Previous acts at Tanjazz have included Omar Sosa from Cuba, British flamenco guitarist Craig Sutton and local Tangiers native gnaoua/jazz cross-over outfit, Gnawa Express. The former international city of Tangiers is many travellers’ entry point to the Kingdom of Morocco and a great starting point for a tour of Northern Morocco and the Imperial Cities. Essaouira’s annual homage to the music and cultural traditions of Al Andalus is held every fall in this port city on Morocco’s Atlantic Coast. Featuring artists from Morocco, Algeria, France and the Middle East, the festival perpetuates traditions which came to Morocco after Jews and Muslims were expelled from Spain at the end of the 15th century. The peaceful and rich religious, cultural and intellectual exchanges which had flourished on the Iberian Peninsula under Moorish rule were continued and refined in cities such as Tangiers, Fes and Essaouira, where large populations of Jews settled and prospered. Essaouira now has its own conservatory dedicated to the preservation of these traditions and the passing of the knowledge and techniques to younger generations. Please note that festival dates may change considerably to avoid a clash with Ramadan (around 18 June – 17 July 2015). While every effort has been made to verify the dates given here, please double check before your reserve your flights!